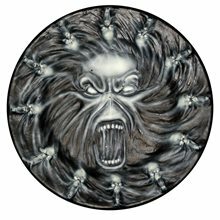 Deluxe Screaming Spirit Platter;I scream, you scream... and so will your guests when they see the Screaming Spirit on this platter! Surface is actually 3-D with raised up skulls around the edge. 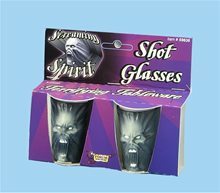 Great for serving at your next Halloween party. Measures 12.5" across. Matching serving bowl also available separately. 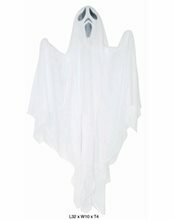 Large Super Ghost;Our Super Large Ghost will be sure to give your guests a scare with the white body. 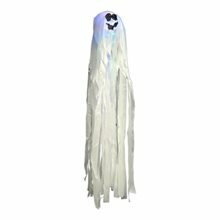 You can hang the Super Large Ghost from a tree and scare your trick or treaters and other Halloween visitors. Hanging Ghost Decorations.Includes: 3 Hanging Ghost Decorations. *Props and Other Accessories Not Included. Sold Separately. Instructions: Inflate balloon with air (balloons included). Insert inflated balloon into the corner of the ghost bag., with the balloon knot pushed firmly into the corner. Gather corner of plastic bag around balloon knot. Secure both together with enclosed twist-tie. Tie a string around the twist-tie. 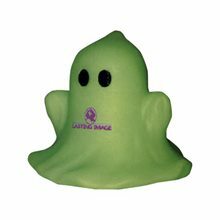 Hang the ghost decoration indoors or outdoors. (String not included).WARNING!! : Choking Hazzard - Children under 8 years can choke or suffocate on uninflated or broken balloons. Adult supervision required. Keep uninflated balloons from children. Discard broken balloons at once.CAUTION!! : This item is not a toy. Not suitable for use by children. 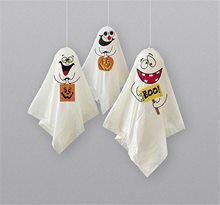 For decorative use only.Complete your Halloween decor with these Hanging Ghost Decorations! Decorate trees, shrubs or indoor rooms! 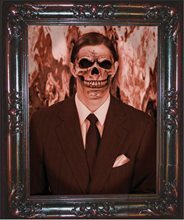 Haunted Pictures Haunted Gentleman Portrait.Includes: One Medium Sized Haunted Gentleman Portrait.Dimensions: 12 x 13 inches.Get your Place decorated this halloween With Haunted Pictures Haunted Gentleman Medium Size. lenticular picture frames. change from normal portrait to scary one.